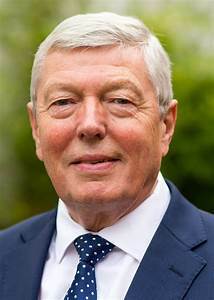 Some say that Alan Johnson is the best Prime Minister we never had. But if he himself has any regrets about his career, it’s that rock stardom hasn’t called. Yet. His most recent book is about the musical influences that have shaped his life and most of these are related to the Fab Four. Much like his previous three award-winning memoirs, this latest book too, takes its name from a Beatles song. Johnson writes engagingly about his life in poverty in North Kensington, hearing Lonnie Donegan for the first time, of playing his first guitar and envisaging a life as a rock star, despite the fact that the first record he bought was Fings ain’t what they used to be by Max Bygraves. In 1963, he hears the Beatles for the first time and you can almost hear the colour that comes into Johnson’s black and white world. Buying their first album coincides with the tragic death of his mother at the age of 42 – the same age at which her mother and grandmother had also died. Incredibly Johnson’s amazing older sister Linda took on social services at the age of 16 and ensured the siblings were not split up. At the age of 18, his music career is put on hold as he starts work as a postman, a job that will eventually lead to him to politics. This in turn means he finally meets his favourite Beatle Paul McCartney when as education minister, he was invited to a graduation ceremony at the Liverpool Institute of Performing Arts.